Despite much talk on constitutions and constitutionalism the reality is that we have been tinkering with constitutions for a half century and yet failed to have a proper one which the whole country can embrace with some sanctity. The main reason appears to be both our locally made or autochthonous constitutions were tailor made not for the people of this country but for the political groups that were in power at the time. This is clear from the constitutional history of our country. The new government came with promises of constitutional change and much fanfare for political reform to ensure a fair society. All these promised changes are meant to be for the benefit of the people, for better democracy, for empowerment of the people and for lessor politicization etc. They are grand promises and if implemented honestly, should make Sri Lanka a better place to live in. The actual issue is how much of honesty has been displayed by our politicians when it comes to constitutional making in the past. For whose benefit have they been made mostly? These are real issues one should look at. Especially with the passing of the 19th amendment, the proposed 20th amendment and the talk of an entirely new third republican constitution, the country, its intelligentsia in particular should give sufficient thoughts to these matters. Independent Ceylon’s first constitution popularly known as the Soulbury Constitution was given by the British. The Soulbury Commission was sent by the British government in 1944 to examine a constitutional draft prepared by the Ceylonese ministers of government and, on the basis of it, to make recommendations for a new constitution. The constitution was accepted by all the communities in the country as minorities were given some sense of protection. Safeguard was provided for the minorities by Article 29(2) of the Constitution which prevented parliament from conferring benefits on the majority community and imposing disabilities on the minorities. With some minor amendments it lasted for quarter of a century without much controversy, probably because it was drafted after much consultation with all the communities over a period of about three years. Then came the first republican constitution of 1972 and it is a well-known fact that the constitution was adopted by the constituent assembly without the participation of the Tamil community for whatever reasons. Probably the leaders at the time were in a hurry to bring about a rapid change having great socialistic ethos in their minds and failed to give much thought to the idea that a constitution is a consensus document which binds all the communities together. Then came the second republican constitution of 1978 which introduced the executive presidential system. 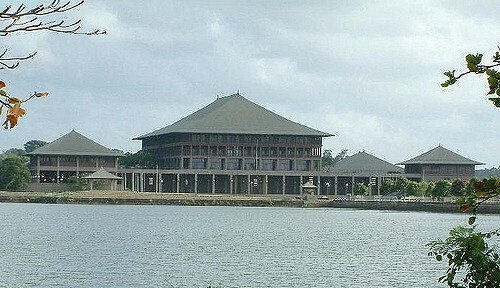 President J R Jayawardene, the architect of the constitution tailor made it for himself. 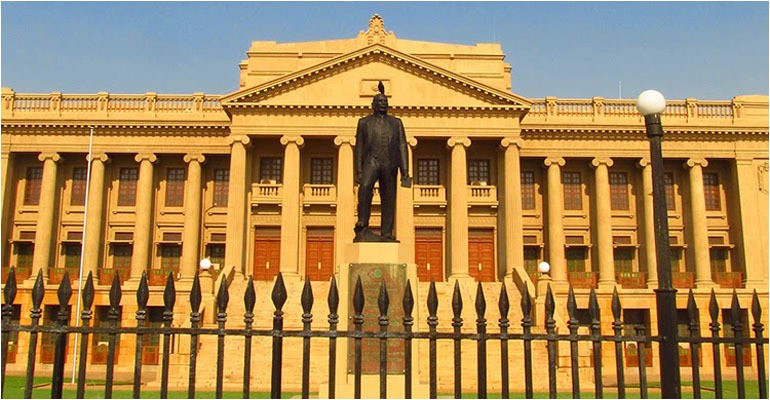 The proportional representation was introduced mainly because he knew that even when the UNP was electorally defeated under the first past the post system they often had the majority vote count. With the new system in force JRJ thought that his party would never be defeated. One may argue that PR system is a far more democratic system because all minority groups also get their fair share of representation. Yet it is clear that JRJ’s immediate motive was not to give more democracy to the masses but to perpetuate the dominance of his party. This attitude is quite clear from the way he centered near absolute power around the presidency with him in the chair. All the great values of democracy – rule of law, independence of the judiciary, the police and the public service were compromised under the might of the executive presidency. After becoming the executive president he had the audacity to say that he had power to do everything other than making a man a woman and woman a man. If 1972 constitution had erred in not providing adequately for the minorities he could have well corrected that with his five sixth majority in parliament. Yet he failed to do so until he was forced to devolve power under Indian pressure. All that showed he too had a personal agenda behind his effort to introduce a new constitution. The seventeenth amendment which provided for setting up of a constitutional council to recommend appointments to independent commissions covering vital areas of government such as the judiciary, public service, police, elections etc. was however an exceptional piece of legislation as it received the consent of all political parties in the parliament. However at the same time that was a classic example of a piece of legislation that was rushed through the parliament without adequate time for debate. 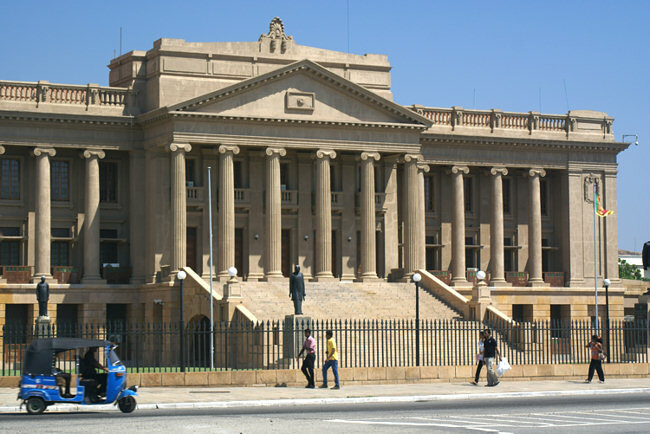 There was a great loophole in not providing for a quorum for constitutional council and as a result when a vacancy occurred due to death or resignation of a member the entire council became non-functional. Contrary to our position some counties in the democratic world have drafted their constitutions after years of deliberation and consultation and with consensus among different communities and such constitutions have lasted long. For example the constitution of the United States has survived for the last two hundred and twenty five years while our neighbouring India’s first republican constitution promulgated in 1950 has lasted to date. These constitutions have received approbation of the people and nobody talks about introducing new constitutions in these countries. On 29 August 1947, the Drafting Committee was appointed, with Dr B. R. Ambedkar as the Chairman along with six other members assisted by a constitutional advisor. A Draft Constitution was prepared by the committee and submitted to the Assembly on 4 November 1947. Draft constitution was debated and over 2000 amendments were moved over a period of two years. Finally on 26 November 1949, the process was completed and Constituent assembly adopted the constitution. Such are the rigors of constitution making for they are not simple documents prepared for the benefit of a few individuals. With the heat of the nineteenth amendment and the proposed twentieth amendment, the idea of an entirely new constitution has also surfaced again. If a third republican constitution is to be drafted it should be one that is accepted by all communities and it should last for at least hundred years.